How I wish I was able to attend this meeting in September, but it is a long way to come from Canada!! 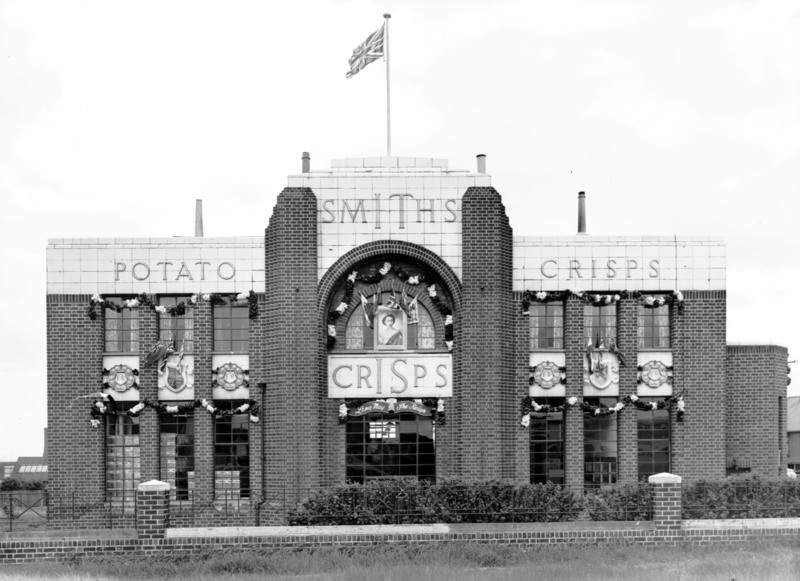 Hope to hear more about it and see so many more pictures of the places in which I grew up – Stannington Avenue and surrounding areas. Just love this site! Hi Muriel. If you would like me to take some contemporary photos of the Stannington Avenue/Heaton Road area and email them to you I would be happy to do that; just ask. At the entrance off Benfield Road by the door was a water tap affixed to the wall accompanied by two large watering cans. This was a regular stop for bus drivers on the No. I bus heading for Denton Burn or Cochrane Park to fill up the coolant systems on their buses and making sure that the cans were filled ready for the next bus wanting them. I have no certain knowledge of the crater, but the area opposite (subsequently commandeered by The Ministry of Pensions as storage facilities) was the launching station for barrage balloons and also an emergency aircraft landing strip, so it be an obvious target. 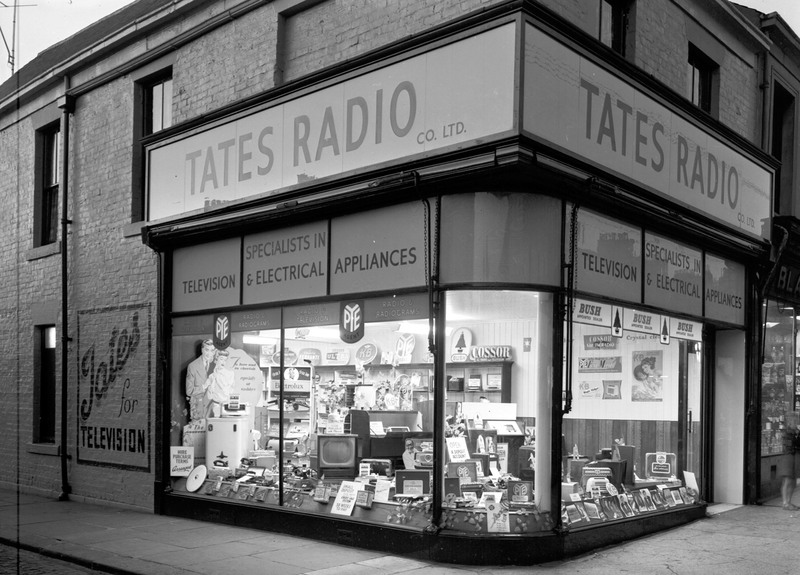 Tate’s Radio Company Ltd, 71 Shields Road, Byker. That’s a really old photo. 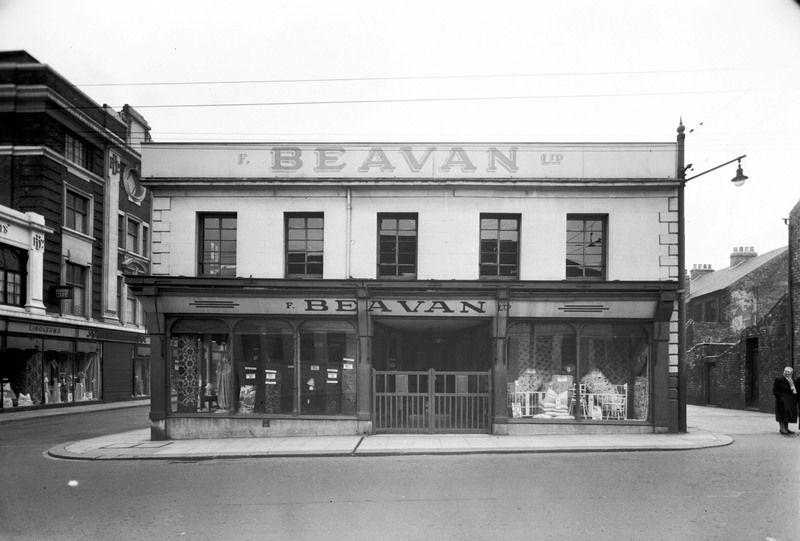 The main door was later moved to the corner of the building. I worked there for a couple of years. One day we had a man visit to inspect the electric meters. I showed him our meter but he said no, I need the one in the cellar. I told him we didn’t have a cellar. Eventually someone turned up and cut a hatch in the floor. Turns out we had a cellar that hadn’t been used for many years. They found the electric meter by lowering a young lad down the hatch. Quite exciting stuff.